Learn from all the mistakes & valuable lessons we learned from building a brand new Blog from zero to 80,000 subscribers & more than 250,000 monthly readers. Only highly actionable real world case studies & growth experiments. No B.S. list posts or marketing fluff. We only hit publish a couple of times per month and make sure that everything we share is highly actionable and based on our real world experience building one of the biggest spanish speaking health and nutrition Blogs. Amy Hoy and Nathan Barry created in 24 hour a product at the end of last year. The complete process, from creating, launching and selling was done in less then 24 hours. Both of them generated almost or over $5000 in Sales in the first week. And it was incredible inspiring to follow along. Because they showed us that they encounter exactly the same problems we do, but found a way to deliver anyway. After reading how Amy and Nathan created a Product in less then 24 hours I really commited to take action on things that I had put off for too long and a few things that really incomodated me. And once I did that real magic happened. I published a continously updated guide to list building. It was waiting almost finished for over 3 months on my hard drive. It felt great to finally hit publish. But I wanted to go further. Instead of waiting and praying that it somehow get noticed by people, I proactively sended emails to all the big influencers I have been following over the course of the past year. Something that really scared me before. But this time I just did it and got noticed. A few of my biggest heroes out there appreciated my effort and shared it with their readers. And the opportunities that came out of it just blew me away. From connections, to consulting offers to guest posts, everything became possible just because of one thing: I finally followed through on the promises to myself. Thats when I decided that I had to follow through on another idea that I had for quite a while and launch it within this challange. Without commitment and accountability we are not able to get things done. Most of the time we know exactly what we have to do to get ahead. Every single time when I finally took actions in the last couple of month I was able to get results beyond my imagination. But first I needed to overcome my inner fears and blockades. Thats the real problem and something that can incredible hard, scary and frustrating if you are on your own. Adapting the 24 Hours Challange is the perfect opportunity to overcome these challanges. Creating a product in public is build in accountability and commitment. And it has other upsides, like an instant validation of my idea. While there is limited time, I really need to focus on delivering on the key features. Its an opportunity to learn. For me and for you following my learnings and failures. It is about getting better everyday a little bit, learning the skill of following through. Of showing up. Of delivering on the promises you made to yourself. Dan Norris from WPCurve talked in his book, the 7 day startup about the same challanges and ideas. But instead of launching a startup in 7 days or launching a single information product in 24 hours I picked 48 hours for my software product. When my spouse and I launched her blog I made the Email List the number one priority. I implement from the beginning everything that I knew would work and what other big blogs did to build their audience. Thats actually almost every single strategy you can find inside the continously updated guide to list building. But even with my webdesign background it was actually quite hard to implement all these strategys in an easy, straight forward way. You need dozens of different plugins. Some of them are free and vary in quality. Some of them are paid for once or on a monthly ongoing basis. Then you need to pray that you can hook up every single one of them with your email provider. Once you have that figured out you need to configure it yourself or pay a developer everytime you want to include a special function in your blog. If you are lucky you know how to edit the style, so it adapts to your blog. If not in the best case you just have a visual messup that doesn’t look appealing anymore. In the worst case you got a really slow website, with broken parts and that is hard to update. This is just the technical site. As a blogger you still have to worry about creating consistently great content. Get good at copywriting so you know which headlines work and what Call to Action to include inside the Signup Forms. Not to mention that you still have to promote yourself to get at least some readers. Who has even time for messing with all of these signup forms when you still haven’t figured out how to make money from blogging? 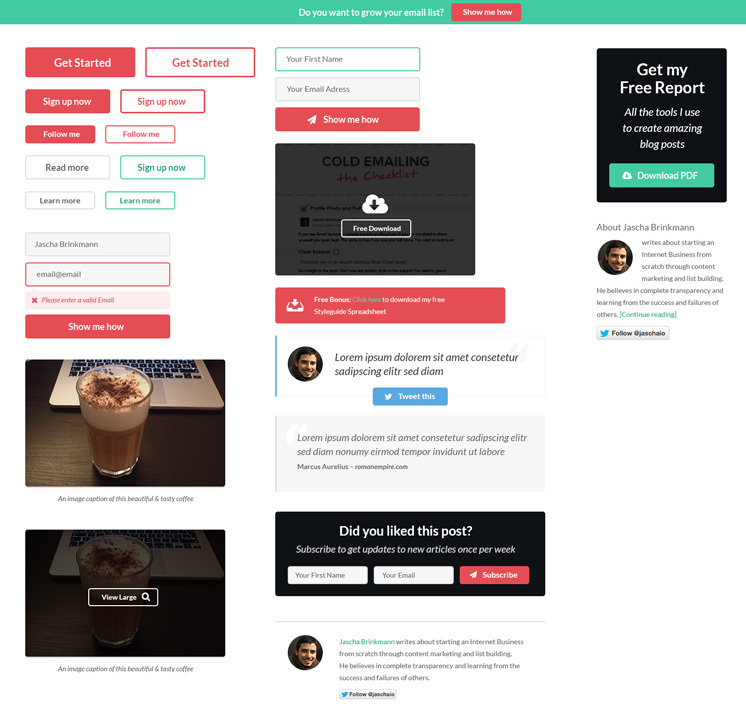 So I decided to create a custom wordpress template for her blog. And we got pretty awesome results: Building our email list from zero to almost 2000 in just a few months with zero experience. That is pretty much the moment you can begin to notice what happens when you have build your email list to thousands of engaged listeners. There is no need to promote your content anymore, they will do it for you. You start to get traction, comments, visitors, social shares and finally an idea how to earn money. I knew almost immediately that we are not the only ones who face this massive painful problem. For big blogs like videofruit, quicksprout or okdork its easy to implement all of these strategies, custom build. But how about the ones just starting out? 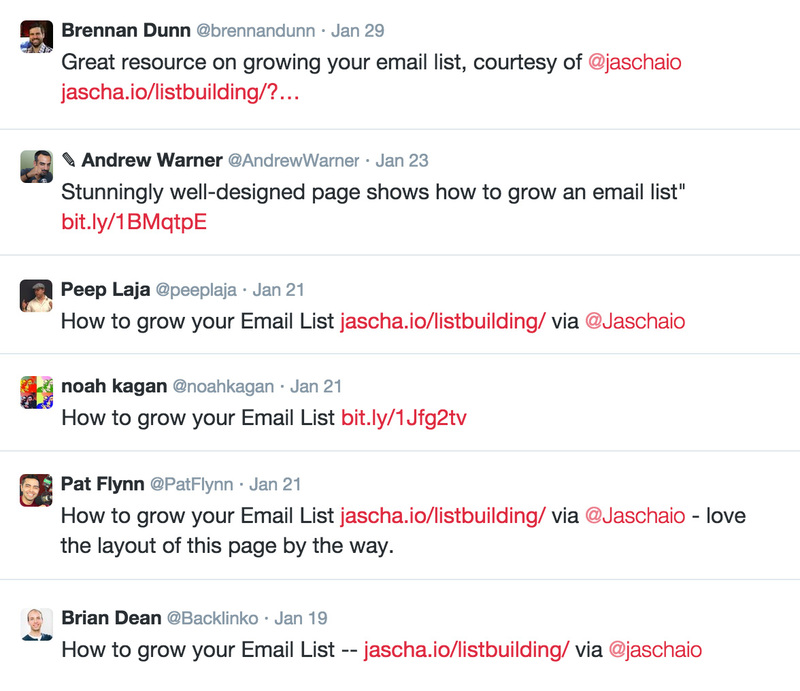 After publishing my guide to listbuilding, I got a lot of really positive comments for the design and more consulting offers that I could handle. So combining the three things I know best: webdesign, wordpress and listbuilding ends logical for me in creating a wordpress theme in this niche. You can follow me along while I am creating this product from scratch. That includes the complete graphic design, the programming, the sales page and the launch. I will share everything while updating this post. You can learn from my process and failures right away. So its currently 6 am in Europe (arround 9pm in the US) and I am going to begin this challange. Just made myself a coffee and sat down to get started. I will hopefully finish at 6 am on monday, 48 hours from now. (or 9pm on sunday, if you live in the US). To get started I just sended this out to my email list and posted in a few facebook groups. As I still don’t have a such as big audience I probably will do some more promotion further down the road, but that should be enough for the moment. 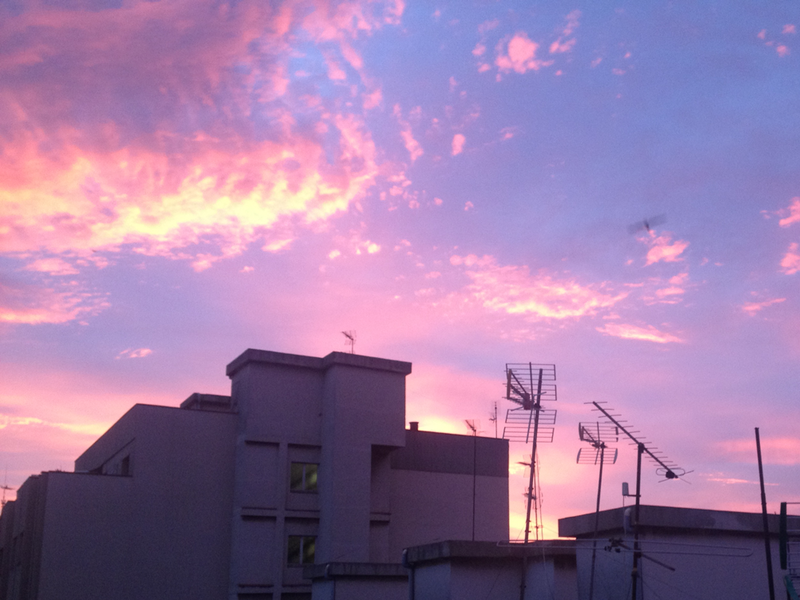 Day 1 – 07:00 AM – Outline & What do I already have? Wiriting the facebook posts, newsletter and a few emails took me a little bit longer then planned, althought I had them prepared. It will be hard to resist the tempation to check continously my emails, facebook and twitter during this weekend. I will just use Nathan Barrys approach to it: The pomodoro technique. 25 minutes of concentrated work and 5 minutes of distraction. 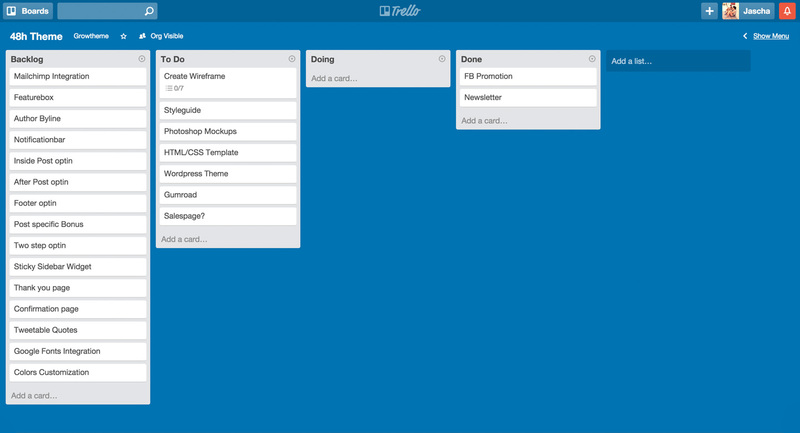 I created a outline in trello. I am quite sure that I am forgetting probabbly one or two things, but I will just add them over the course of this weekend. At the moment this should be enough to give me a rough timeline and to have an overview of what needs to be done. It gives you as well an idea of what kind of features will be included in the first version. You will notice that the item “Salespage” has a question mark. I am not sure if I will find time to do this, if not I will just run with the basic gumroad page. As I already created a lot of wordpress themes before and a similar theme for my spouses blog there is probably a lot of code that I can reuse. That hopefully will save me some big chunks of time. I will as well use a lot of open source licenced libarys, so I dont need to do them myself. Its always the best to look what you already have yourself and what you can use from others to save yourself some precious time. Time for another coffee. Halfway through the wireframes I noticed that I forgot to put on some music, so I just did that. Interesting: While I’m working I usally put on always the same song repeating. It helps me to concentrate and is a technique used by Matt Mullenweg as well. 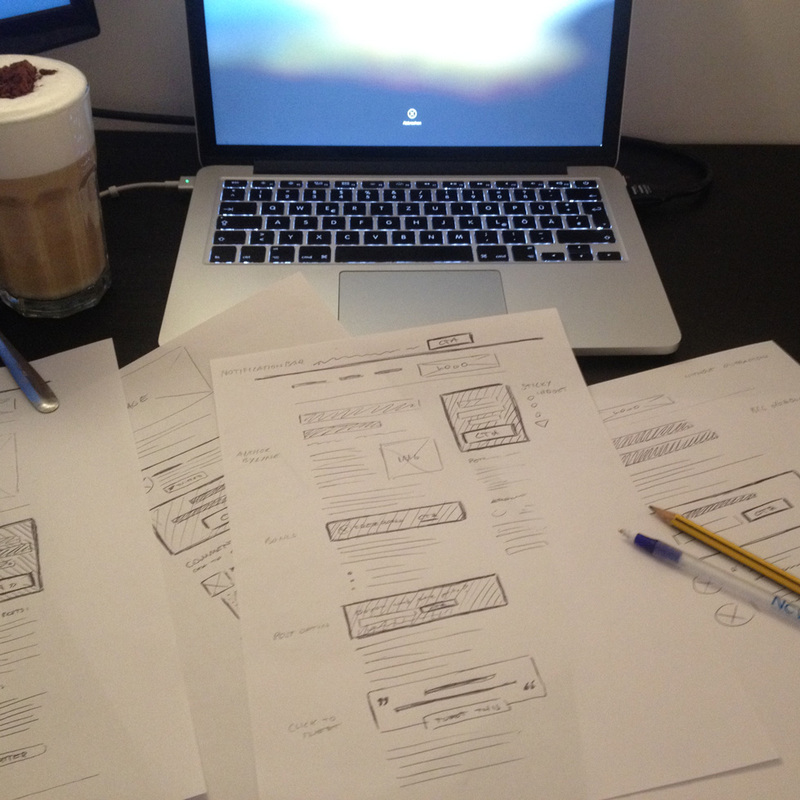 In the last hour I have been doing some rough wireframes (or sketches) of the overall design. This is a step I love to skip if I work on my own proyects but I always do when working with clients. Its really helpful to have an idea of the positioning, relation and importance of different elements. This saves you a ton of time while creating the real design. The idea is to don’t go into much detail while wireframing, something I usually have to remind myself a few times while sketching. As designers we love to focus on the little details, but they really have to wait in the beginning as there is always time to add them later. The next thing I skip as well when working on my own proyects is to create a styleguide before actually starting to design. But it is extremly valuable to have this in place, because you already get a feeling for the design. It helps you again to save time once you start to work on a specific page. If you work with clients this is helpful to ask for feedback, to be sure that you are on the same page and are heading into the right direction. In this case I am focusing on the main Call To Action Elements and forms. The overall design will be most likely quite minimalistic. For blogs its important that the visitor can focus on the content. Therefore I will concentrate as well on typographic elements and emphazize the sign up forms. The Styleguide is growing and I decided I will just leave it like that. I won’t do a photoshop mockup for every single page, as this would take me too much time for this challange. I just created a lot of the elements from my inicial wireframes inside my styleguide and will then continue to design directly inside the browser with html/css. As the theme obviously will be responsive (50% mobile traffic should be standard right now) this is a more straight-forward approach a lot of webdesigners have took recently. After almost 6 hours into this challange I am now hitting the first speed bumps with myself. While working on my own proyects this is usually the time of the day when I start getting distracted and tired. 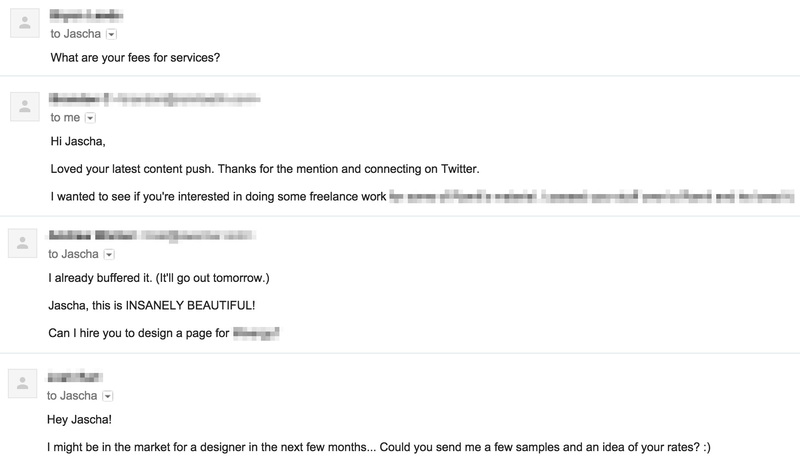 (Funny that this doesn’t happen if I do client work.) I will try to continue focused now until 1 pm and than take a mayor break. In the last hour I started MAMP (A local webserver for MacOSX), made a fresh wordpress install and downloaded the underscores theme. The underscores theme is a starter theme made by automattic (the company behind wordpress). Using it will ensure that I am using currently best practices in wordpress theme development. Additionally it will save me another big chunk of time. I already started to programm and converting parts of the styleguide into HTML & CSS. Its probably a good time now to take a mayor break. Im going to do some sports to refresh my mind and get some lunch. The clock shows currently 7 hours in. If I can fit into this 48 hours netto 28 hours of work that will mean that I already used 25% of my time. I am still quite optimistic that I can manage to finish within this time frame. A thing I haven’t considered is the time it takes me to write these updates. So sorry for the poor writing but it would take too much effort to edit it properly now. Some fresh air, sunshine, sports, cold shower and a great lunch helps to refresh the mind. Lets start into the second half of the day, still a lot of things to do. I will continue where I left off: Programming the HTML/CSS Template. Okay so at the beginning of the last chunk of work I got a little bit distracted by facebook. Not a good thing if you just have 48 hours, but hey: At least it was somehow related. (Just a bad excuse, don’t believe me). At the end it just shows that everybody have to fight with the same productivity issues. Probably a good time to recommend one of the best extensions for chrome: News Feed Eradicator (found via Noah Kagan). Anyway, right afterwards I got productive again. Two and a half hours straight of coding. I am almost finished with the main index view. My spouse just asked me if I think that we are normal as she is working right next to me. And actually I am beginning to feel a little bit tired. Lets see how much more hours I can fit in today. Time for another update. Its getting really hard for me to stay focused now. Made a short brake at 6 PM to eat something and to distract a little bit my mind (not quite possible). But at least the amazing feedback I am getting from all sides is really encouraging, thanks a lot to everyone! The index view is now almost finished. Wasn’t quite happy with the typography until now, thats why I didn’t shared a preview before. Thankfully there is already a lot of wordpress code prepared for tomorrow. So hopefully the actually wordpress development shouldn’t need to much time. To save time I am using my own content as a demo content. But most likely I will use the theme as well on this blog once its finished. I am really scratching my own itch here, as I was waiting for months to do this. I also can’t wait to use it for my spouses blog as its currently impossible for her to change something without my help. Ok so in the last half hour just made a couple of minor fixes. I have to admit that they are not really high priority, but wasn’t able to tackle anything bigger than that. At least they included some quick wins for my designer eye. Its important to finish motivated and I could accomplish that. Started today at 06:00 AM and overall I am quite statisfied with the outcome of the first day. Its now 09:00 PM, minus two and a half hour of breaks & distraction I got netto arround 12,5 hours of work. Not too bad. To write the updates (this post is now almost 3000 words long) took me as well some time, I will probably do a little bit less tomorrow. There is still a lot of work left and I am not quite sure if I can tackle everything in time. But overall its really motivating and fun to do this challange, even if I dont get it completely finished inside the timeframe. At least I will give my very best. So after solid 6 hours of sleep I am going back to work. It cost me quite some time to fall asleep yesterday, too much stuff to think about. I usually need between 7 to 8 hours of sleep to work well. Anyway as I am not planning to do sports today I can use that time to get a short nap if needed. And some scientist actually say sleep deprivation helps to get creative.. Reflecting yesterday I made one big error: I did not take enough breaks. It actually doesn’t matter if your work 6 hours, 8 hours or 12 hours. You should take at least one short break every hour and distract your mind completely from what you are doing. If you are focused and “in the zone” it can sometimes be hard for us to remember this. Therefore I will just make a timer every 55 minutes in my mobile. The last two hours I have been working in doing the last fixes and making the whole design responsive. Tested it on both iPhone and iPad but should work properly with every other tablets or smartphones as well. Now its time to get started with the actual wordpress programming. 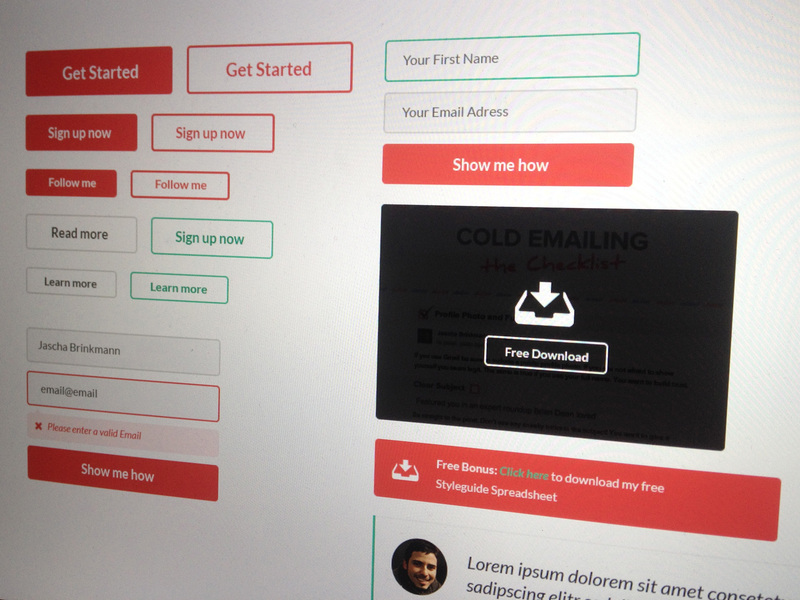 For the first version of the template I will focus on integrating completely with Mailchimp. I have some expierience with their API, so that should make it easier for me to get started and actual finish this within the 48 hours. But I think as well that it is the best solution if you are just starting out. You can work with the free account until you get 2000 subscribers. What is a theme worth if you can’t configure it yourself. Therefore I have been building the Admin Panel in the last couple of hours. I am using the Redux Framework. Another Open Source Framework that helps me a lot to save precious time as I don’t have to code all options field for myself. The theme will connect with Mailchimp via their API. 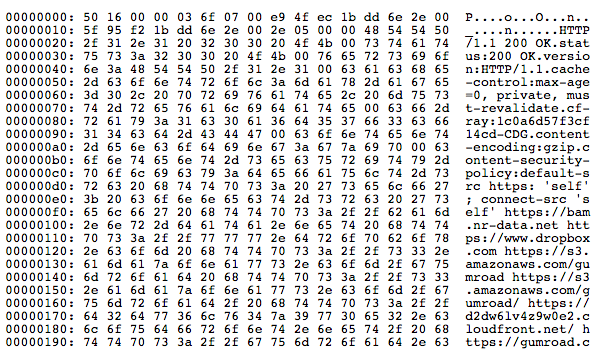 That allows a lot of more elaborated functions then using just their form code. It is as well a lot more convenient for the user as he don’t have to copy and paste things arround or change settings in various places. To connect with Mailchimp I am using again open source code. Without the open source community this proyect wouldn’t be possible in just a short time frame. I already had a lot of the code prepared as I needed it before. While building the admin panel it was again really helpful to have a clear outline in place so I knew which fields would be needed. In case I forgot one I can easily add it later. The time is passing by really fast. 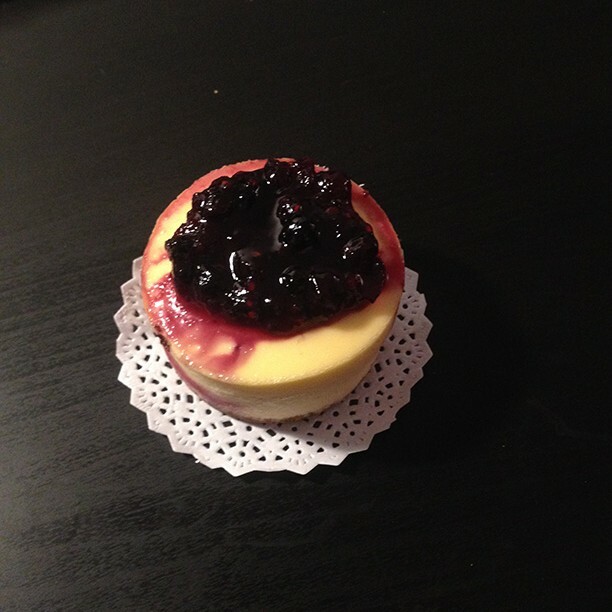 I am feeling a little bit relaxter then yesterday and its easier to stay focused. Probably because of the short five minutes break every hour. Ate something really fast at arround 2 pm and then got back to work. Nutritionist pro tip: mi spouse made me a lunch with a low glycemic index. (e.G. a Salad) She says its better to keep insuline estable and helps to don’t fall asleep after eating. Seems to work, until now I didn’t feel sleepy. Definitely made some huge progress with the theme, but I am still not sure if I will make it inside the 48 hours. I am really huring, trying to forget all nasty details and to focus on the big picture. But sometimes you have errors in your code and have to search an eternity to find them. Its really about keeping the balance between focus and flow. Okay I have to admit that its getting really hard now. The clock shows almost netto 24 hours of work in the last 36 hours. The actual wordpress development takes me longer than I thought. Thinking about the best strategy to proceed. As I almost made no breaks today I think I will do a longer one right now, maybe as well take a short Nap to refresh. At least I know that there is not so much work left. Like arround 3 to 4 more core functionalities of the theme. Its definitive something I can hopefully tackle before the end of the 48 hours. But there are still a few others things left, like setting up a demo page, wirting at least a short sales page, etc. Just kidding. Of course I will continue and at least give my very best try to finish this within the timeframe. Had some hard time since the last update. Tried to take a short nap but it just wasn’t possible. So I continued to work. At least I got a little surprise on my desk. There are just a couple of things left but now its more then ever important to dont get cought up in the details. When you are programming, designing or doing almost anything its very common to forget the big picture. I am still trying to use trello and my outline as much as possible to see the missing pieces. I will do probably one hour more, then get some solid sleep and start very early tomorrow. Good thing that I am an early riser. Thanks for all the great and encouraging comments here and on facebook & twitter. Thats really really helpful in my current state. Really beginning to feel kind of crazy but its impressive how much work you can get done in just a single weekend. I began recently to feel a little bit fresher and focused again. But I will stop for now and get some sleep. I have finished a lot today in arround 14 hours of work. Could be that I pass the timeframe for a few hours but I prefer to get some good sleep and finish it then successfully. Got up at 4:00 am and immediately to work. Needed to set up gumroad and write a short sales page. There are still a few things to fix but I will do this further down the road as Amy Hoy did it with her ebook. The important parts of the theme are working and in place. The foundation is build. I am happy and excited to put this out there today. Its just a matter of a few hours past the timeline. What the f***: After checking 20 minutes later my gumroad sales page THE WHOLE TEXT WAS GONE! More than one hour of work completely lost! And I am sure that I had saved it. I even checked it before with private mode on. Never ever edit any important page online! Do it in word, on paper, wherever but be sure that it is saved three times. I even have installed a chrome extension for these not uncommon cases that website forms just delete your text. This time it didn’t worked. So be prepared, especially when you are close to your deadline you will bump into problems you haven’t thought of. I needed like 5 minutes to recover from that massive motivational bummer. Remember: Never give up. Don’t loose time thinking and depriming yourself about the problem but go and find a solution. I sat immediately down again trying to remember as much and as fast as possible what I had wrote before. Thanfully I then got a better idea: Searching my google chrome browser cache. With the help of the chrome chache, a few trys of different files and this online tool to translate the compressed cache files into something that makes sense I managed to recover the text. At least this was the only time during this challange I had to fight with technical problems. This speaks for my workplace configuration..
To motivate me for the last sprint we went up to the terrace to see the sunrise. Its beautiful everywhere, but here in barcelona its very special. The sky and light is probabbly in my top 10 reasons why I decided to have my home base in this town. I am really eager to finish this now. 52 Hours later – DONE! Passed the time for a few hours, but most important: I am done! After almost 32 hours netto of work during the last 48 hours, ~2000 readers of this post, ~200 new email subscribers and dozens of encouraging comments via facebook, twitter and on this post. You can get your copy now for $197. 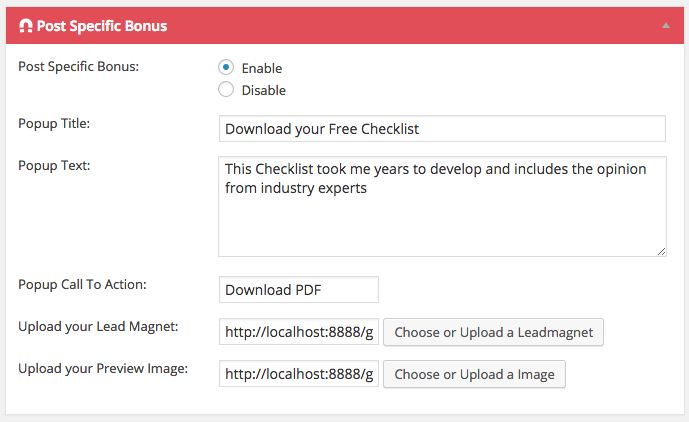 You will get all feature updates immediately and for free. You can use it on unlimited domains. And you can influence the release of the next features while growing your audience!. As you see I skiped the customization features for now as this is not a multi purpose theme. 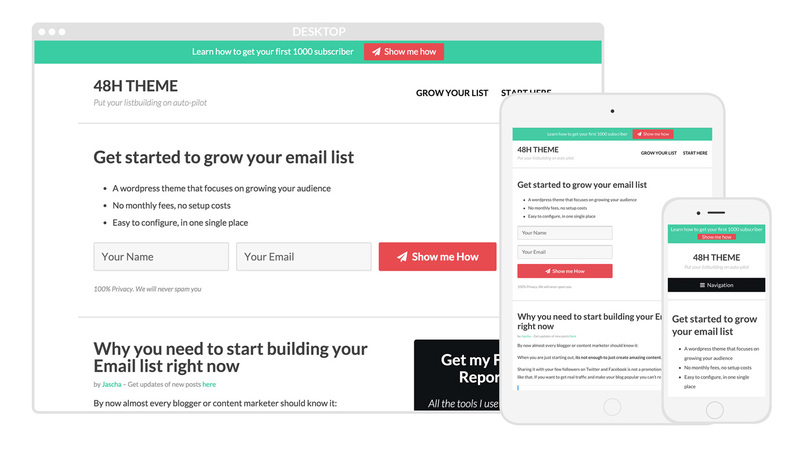 This is a single purpose theme: Growing your Email List.